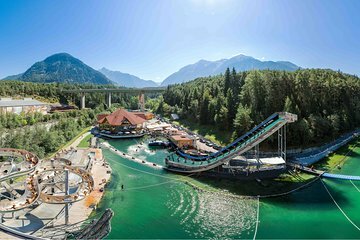 Book in advance to visit AREA 47 in the Oetztal Valley, and have a day of water thrills with speed slides, wakeboarding, and even cliff diving. Open to competent swimmers and over 12s, the park is set up perfectly for daredevil teens and adults alike. Just show your ticket to enter, then enjoy a day of water-filled fun at your leisure.